The Water Cures protocol counteracts the effects of drug addictions according to those who have benefited from it. 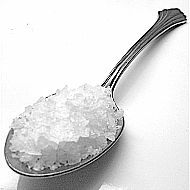 Water and sea salt used as an electrolyte helps repair both the physiological and neurological effects that result from drug addictions. Those using the water cure, are reporting that they have few and very mild withdrawal symptoms. We have a theory as to why it works. The effects of drug addiction encompass the spirit, mind, body, family, friends, community and the world we live in. Here we are only focusing on the effects of drug addiction on the brain, mind and physiological effects on the body. It is across the spirit, mind, body collective that water cures can help the healing and make change possible. Science is recognizing the spirit mind body interrelationship and the need to treat the whole person and not just symptoms. The Spirit: The force that actuates your mind. It is the life force in us. 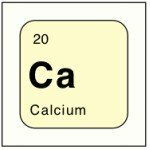 Think of the way we use this word. We speak of spirited horses and a person with a broken spirit. This is the rider or the director of the mind and body. The Mind: The reigns that control the body. More than a super computer, it runs two forms of computing simultaneously. One is conscious and one unconscious (autonomic nervous system). Both run on what ever programming that has been put into the brain, be it good or bad. The compulsion to use drugs even though knowing they are killing us is programming. 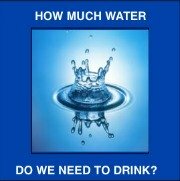 Water Cures helps us to reboot at the cellular level. Once the cells can reboot, then the neuro-pathways can reboot. The Body: With out the moral compass of the mind, our body is nothing more than a wild animal. And the rider cannot make an animal do anything it does not want to do. So changes need to be easy, pleasurable and sustainable. Our bodies seek pleasure and avoid pain. Consider the physiological effects of drug addiction on the brain and body. In science, drug addiction is considered a compulsive inner drive (the mind = programming, the body= seeking pleasure) to use drugs even though there may be bad consequences. Research has shown that using drugs over time results in changes in the brain that make scientist think that self control (the spirit is willing but the flesh is weak) nearly impossible. Understanding this lack of control combined with new knowledge of how environmental, genetic and developmental factors contribute to addiction helps us to understand the changes in how to prevent and treat addiction. Water Cures helps the body repair and correct the effects the physical environment (our bodies that house our mind and are driven by our spirit) we live in. 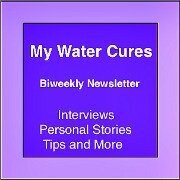 Water Cures can help the body correct the DNA. There is a field of study called Epigenetic which is finding that we can indeed correct the way our genes express themselves even though the DNA stays the same. Just as the drugs modify the genetic expression, water cures can correct that expression. Drug addiction is also considered to be a neuropsychiatric disorder. Addiction burdens society with the resulting increased crime rate and healthcare requirements. No wonder so many Western countries are investing in research to understanding, treat and prevent addiction. In doing so, they are missing the most basic treatment, helping a person become healthy so their spirit can once again be in control. What ever part of the body or brain effected, one thing is sure, the nerves of the nervous system, like our other cells, have a cellular memory. 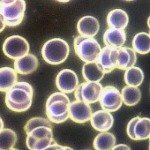 Within this cellular memory is the means to heal the addiction. Once our body is given the proper nutrition and hydration, our bodies sometime have the ability to reset to its optimal function. Where the cells remember and drive us to fulfill the addiction, on reset, the same cells will forget the addiction and help us become normal. 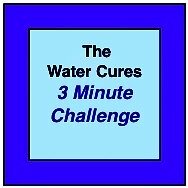 Some using The Water Cure Protocol have eliminated their addiction and experienced little to no withdrawal symptoms. Evidentially, the resetting can happen so fast, the healing can likewise happen rapidly. There are of course exceptions to the to fast withdrawal without any reaction. The Jarich Herxheimer Reaction. The Herxheimer Reaction is a reaction that results from the bodies rapid detoxification. It can last from days to a few weeks. The symptoms include flu-like symptoms such as sore throat, general malaise, headache, joint and muscle pain, body aches, sweating, chills and nausea. As the body detoxifies, the buildup of toxins can not be eliminated fast enough and thus the reaction. 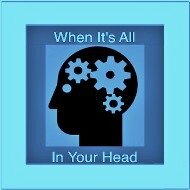 This is similar to another phenomena, the Hoskins Effect, where the body uses immunological memory. Our body reacts to the change the way it is programmed to react from the first insult. Because of the reaction, some may stop. However, the withdrawal is part of how the body heals its self. 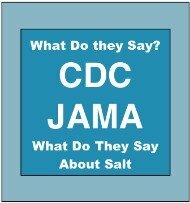 It is essential to continue the process but it should be under the direction of a health care professional. These are some aspects of how Water Cures helps the effects of drug addiction. Water cures helps our body to become physiologically and psychologically healthy so that we do not need drugs to cope with life.